The CMA Music Festival and Bonnaroo are coming soon in Nashville from June 9-12 and these are 2 major events that you do not want to miss! The Bonnaroo Arts and Music Festival is one of the biggest music festivals in the country and includes 150 epic performances, 10+ stages and comedians all in 700 acres of Tennessee nature at the Great Stage Park. The CMA Music Festival takes place at the Nissan Stadium in Downtown Nashville and features some of the biggest Country music stars including Blake Shelton, Carrie Underwood, Eric Church, Florida Georgia Line, Keith Urban and more! 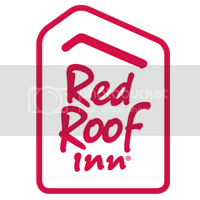 Red Roof Inn & Suites Manchester, TN – This hotel is less than 2 miles away from the Bonnaroo Arts and Music Festival. Book with us! Red Roof Inn Murfreesboro, TN- Just 34.5 miles (34 mins) from Bonnaroo. Grab your tickets and book your stay with us. Red Roof Inn Nashville – Music City – Just 3.2 miles away from the CMA Music Festival at Nissan Stadium. Plan in advance to see all your favorite Country Music starts. Stay with us! Red Roof Inn Nashville Fairgrounds- Just 7.4 miles away from the CMA Music Festival. Book now! Red Roof PLUS+ Nashville Airport- Just 7 miles away from the CMA Music Festival. BONNAROO , an adult wonderland of music and art, is a short drive away in Manchester, TN. Stay with us! Experience music year-round in downtown Nashville! Take a tour of Music Row & visit historic RCA Studio B, the famous recording studio of Elvis. Enjoy Shopping, Honky Tonk Highway, dining, entertainment & more. Visit the full scale replica of The Parthenon in Nashville, TN. There are group guided tours you can take with family and friends or take a self-guided tour any time during operating hours. The Grand Ole Opry is a weekly country-music stage concert in Nashville, Tennessee, which has presented the biggest stars of that genre. See a show while you’re in town! Visit the Nashville Fairgrounds! From fairs to pet shows to sporting events, there is always something exciting going on at the Fairgrounds! Check out upcoming events here. Come to the Country Music Hall of Fame and Museum and honor those country music artists who have been inducted including Johnny Cash, Dolly Parton, Willie Nelson, George Straight and more. Click here to find out the current exhibits on display.